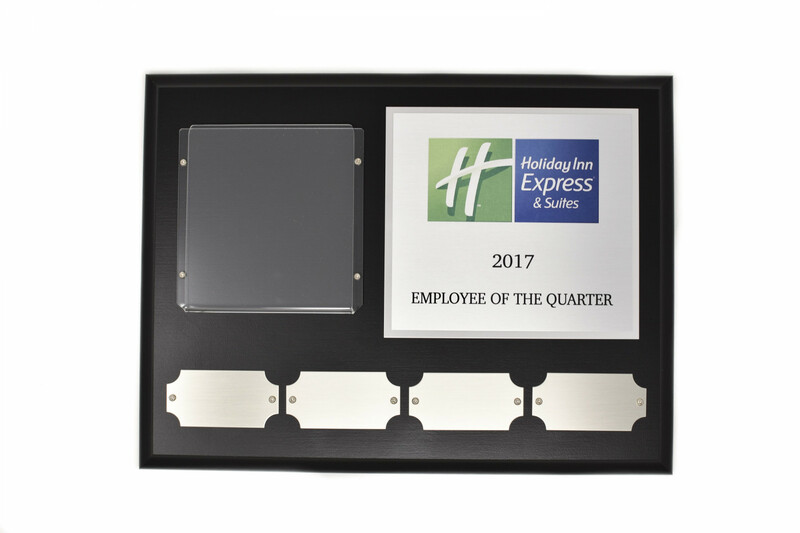 Our perpetual plaques offer a classic look for any award! Available in multiple wood finishes as well as metal faceplate colors, these plaques are very customizable. Each faceplate and backer place can be made of a variety of metals including finishes of gold, brushed nickel, and more. The names, titles and even logo can be sublimated in full color for a clear, clean look and you can choose to feature a photo or not for each recipient. More finishes available upon request.